This post originally appeared in the January 2017 edition of LexisNexis® Emerging Issues. Young professionals in a wide array of fields will have the opportunity to become a trusted advisor—someone to whom more senior executives or partners, clients,colleagues or friends turn when contemplating important decisions or in times of trouble. There is no playbook for how to either become someone’s trusted advisor or perform this critical role well. Richard Rothman has spent the past three decades as a law firm partner counselling CEOs and other business clients, as well as having served in the management of a global law firm. We asked him to talk about what he views as the key ingredients to serving as an effective advisor, and about one of the biggest challenges an advisor faces: When and how to disagree with, or “push back” on, your client. 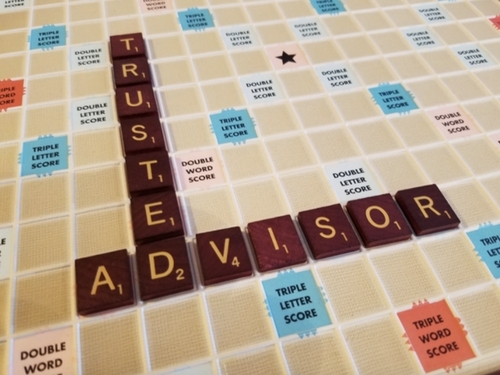 Please Discuss the Value of a Trusted Advisor—What’s In It For “Them”? Many clients need someone with whom they can “let their hair down.” Particularly when dealing with CEOs or others in positions of power who must convey an air of confidence, control, and calm, clients want a confidant to whom they feel comfortable revealing their worries, self-doubts and insecurities—and often venting their frustrations and anger. What is the best way to build a client’s trust? Easy to state, but not always easy to do, you must convey—and more importantly, honestly believe—that your goal is to advance your client’s interests, not your own. And when you do have some competing self-interest, as sometimes happens, you should reveal it and then continually check your motives to minimize the risk that your personal interest will skew your judgment. Building the trust necessary to be an effective advisor requires developing a personal relationship—not merely a business connection—and giving your client confidence that you will operate under a cone of silence. One of my trusted advisors, a legend in the legal profession, commented after reading a draft of this article that his goal was always to develop genuine friendships with his clients whenever he could, tempered by the ability to be candid and firm when necessary. Developing that type of bond requires, first and foremost, producing results to which your advice contributed and that often benefit your clients personally. For me it has involved getting to know my clients well, beyond the lines of professional engagements: learning about their personal history, careers and families—often during flights and dinners on the road; hearing about their passions and discovering our common interests—books, music, sports or cooking, to name a few in my experience. And in many cases engaging in common passions, sometimes with spouses or “significant others”—sports events, concerts or theatre and, in my case, playing tennis, running (in olden times), fly-fishing and other wilderness trips. This type of true friendship, which is not always possible and can only evolve over time, can make it easier to handle the challenges discussed below, provided that you don’t let that friendship impair your ability to be candid with your client. How do you recommend “pushing back” on a client without damaging the relationship—or potentially losing that client? This brings us to the delicate judgment calls concerning when and how to offer personal views that you anticipate will be resisted or resented by your client. This conundrum arises in various contexts, including: When to disagree or push back—and how hard—if your client suggests what you believe is a bad idea or plan, and whether to sound an unpopular alarm—and how loudly—when you believe your client is going astray. Offering candid, and possibly unwelcome, advice at these and other times is essential to serving as an effective counselor. Indeed, a classic pitfall that can doom people in positions of power is to become isolated and insulated from opposing views. Not surprisingly, there is no one-size-fits-all guide for how to effectively “push back” or disagree with a client. The best approach will depend on many factors, including: your client’s personality, as well as your own; how long the two of you have known each other and how many battles you’ve been through together; how your client tends to receive, respond to, and process opposing views; and, the importance or urgency of the strategic or ethical issue at hand. Recognizing that there’s no correct formula, I’ll offer a few thoughts, all of which are related to the overriding theme: It’s not about you. First, when you feel the urge to voice a contrary opinion, remember that the object is not to make yourself feel good or go “on record” as having expressed your view in case things go badly later. Rather, the goal is to offer your opinion at such a time and in such a way that your client is most likely to be receptive and seriously consider it. The key is to “know your customer”: Is she very aggressive and/or arrogant, or modest and/or introspective? Does she have a sense of humor? How does she respond to criticism? How does she process information and make decisions—is she quick on the trigger or does she tend to ruminate? What else is going on in her personal life or the business (i.e., is she in the midst of some other crisis)? Over the years, I’ve come to accept that there are times I can’t persuade clients to accept my opinion even when I firmly believe I’m right and that they’re headed in the wrong direction. I should note that I fear I may sometimes not be forceful enough in pressing my contrary view to a client. In any event, while individual styles differ, it is important to know when to quit. You need to decide when you’ve conveyed your view in a way that your client is likely to consider it, and then leave the decision to her. Beating a dead horse will only impair the relationship and brand you as a lousy team player. An exception is when you feel strongly that your client is about to engage in conduct that crosses the line of the law or clear ethical boundaries. When this happens—and I’ve only faced that dilemma once—you need to put your foot down, whatever the consequences. In my case, it marked the end of the relationship. I can’t tell you that what I’ve suggested here is the right way to do things; others will disagree with my approach and certainly have their own. All I can say is that this is what I’ve done over the years, building relationships of trust and struggling with these delicate judgment calls along the way. And things seem to have worked out pretty well so far. I’ve been fortunate to have advised, and hopefully helped, quite a few clients and friends, a number of whom are both. At what point did you realize you had evolved from legal counsel into a trusted advisor? The honest answer is that I don’t know exactly when this happened. As I got to really know my major clients’ businesses and the people with whom I bonded, we started discussing—and I began advising them about—non-legal issues concerning the businesses and their careers. At the same time, a number of personal friends would talk to me about their business and career challenges—and sometimes their personal issues. I gave them my advice based on the experience I’d gained over the years. During the past year, I had lead responsibility for our law firm’s representations of Sanofi Aventis in a major arbitration, and the Port Authority of New York and New Jersey in a series of complex litigations. Having survived a bout of cancer, a bone marrow transplant and open-heart surgery, I’m now working part time—doing a mix of work for select clients; pro bono legal work—much of it on behalf of human trafficking victims; and non-legal public interest work, including serving as Vice Chair of the Board of Graham Windham, the nation’s oldest non-sectarian child welfare agency—founded by Eliza Hamilton, Alexander’s widow.